The necessary approvals have been granted for the Solar River Project – a huge solar + battery storage facility to be constructed in South Australia’s Mid-North. The Advertiser (paywall) reports along with state government development approval, Goyder Council and local indigenous groups have also provided their backing for the project. It will occur in two stages, with construction to commence early next year. Solar River Project Stage 1 includes 200MW of solar PV capacity and a 120MWh lithium ion based battery system. The first electricity generation is expected in Q4, 2019. Stage 2 will feature an additional 200MW of solar PV and 150MWh of battery storage – with flow batteries a possibility. Construction of Stage 2 is slated to commence in the final quarter next year. The battery storage aspect of Stage 1 has been boosted significantly. In an earlier application to the State Commission Assessment Panel, it was noted as 20MWh. The hundreds of thousands of solar panels required for the power station will be installed on single axis trackers. Each of the hundred 2MW tracker arrays in Stage 1 will be approximately 310 by 180 metres. Also to be constructed is a 275kV transmission line to the Robertstown substation, and ancillary infrastructure including substation, access roads and temporary construction facilities. The transmission line will be built on private land and has been designed to limit visual impact from public road or public vantage points. The project site is approximately 110 kilometres north of Adelaide and 33 kilometres from Robertstown. The site is in a semi-arid area with rainfall of less than 240mm a year, so it’s certainly not prime agricultural land; although it is currently being used for pastoral purposes. The fence will also allow for the movement of kangaroos and wombats. In addition to producing clean power, the project will bring significant economic benefits to the area. Solar River Project’s developers say 350 regional jobs will be created during the 2-year construction period and 45 full time permanent jobs; including apprenticeships, traineeships, engineering and management roles. Solar River Project Pty Ltd says it will also support local sporting teams with sponsorship and facilities upgrades. 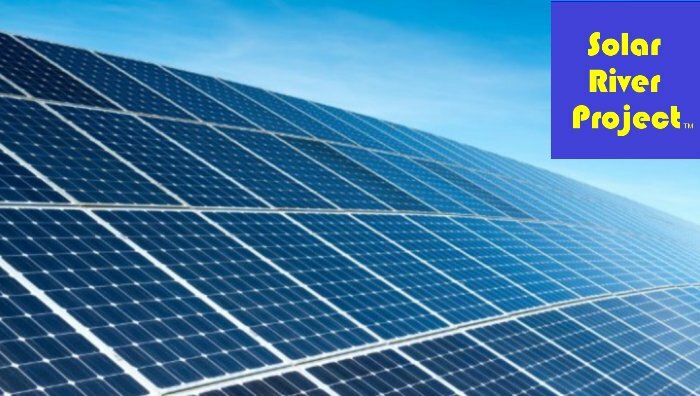 The developer, May Brothers & Co, have been involved with a number of solar projects in South Australia, Queensland, Victoria, Japan, Tonga and Papua New Guinea. Michael caught the solar power bug after purchasing components to cobble together a small off-grid PV system in 2008. He's been reporting on Australian and international solar energy news ever since.